I bought this at State Line Liquors the other day to evaluate for my upcoming Belgian Bier Banquet. 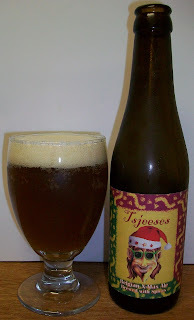 I have since decided on other beers to have and then realized that I did not do a “Christmas in July” beer review. So I figured I would use this one. I have had this before at tastings but I really do not remember anything about it. 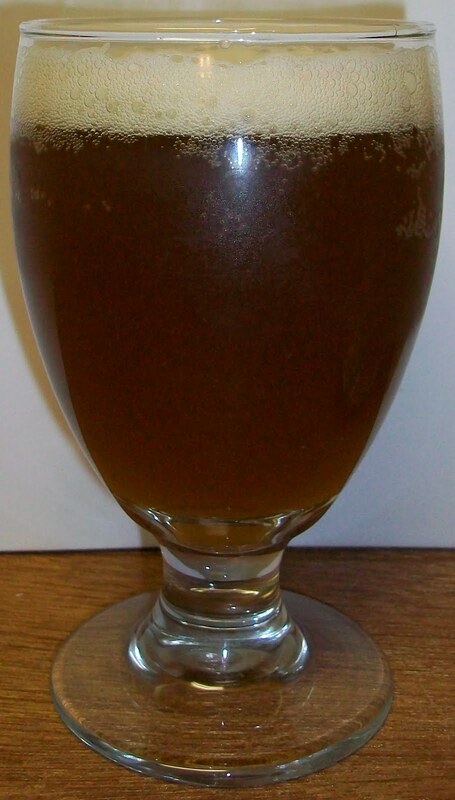 The beer pours a deep copper orange color with a fairly rich off white to tan head. The nose is exceptional with deep caramel malt aromas, sweet orange fruit esters, citrus and spice. This almost smells like an alcohol laced orange candy. Ahhh, you can’t see me but just melted into my chair. What a remarkable first sip. This exquisite experience starts out with a caramel malt sweetness up front on the tip of the tongue. That is followed by the most pleasant mouthfeel as the beer washes over the tongue in the middle of the sip. By the time you get to the back-end you realize that this is no lightweight. There is a hesitation and almost clinching at the top of the swallow. The swallow has a slight carbonation release and a building robustness of a great Belgian Strong Ale. The finish is absolutely phenomenal with exquisite caramel malt flavors, fruity notes, some spice, and sweet alcohol all on a bed a yeasty goodness. The final aftertaste is a lingering malt sweetness with a hint of alcohol and spice. There is the most wonderful creamy coating that is left throughout the entire mouth. The beer has warmed to room temperature and it is just as exquisite now as it was chilled actually more so. This is a solid A+. An exquisite Belgian Strong Pale that was delicious to the last warm drop. Rich malt flavors along with notes of fruit and spice and sweet alcohol made this a very enjoyable experience.